Properties FormDrops Weight94 (gms) Dimensions4.4 (cm) x 4.4 (cm) x 10.9 (cm) About Wartex Drops Wartex is a Safe, Effective and Painless treatment for warts and corns. It is easy co administer and Most Importantly, it does not leave any Marks or Scars (particularly on the face) as an after-effect. While various other measures such as electrodessication etc. are possible, the chances of recurrence are common and exceedingly high. 8- 10 Drops 3 to 4 times a day. 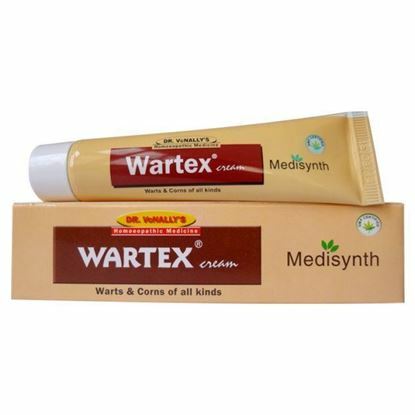 Note: Acts best with Wartex Cream. 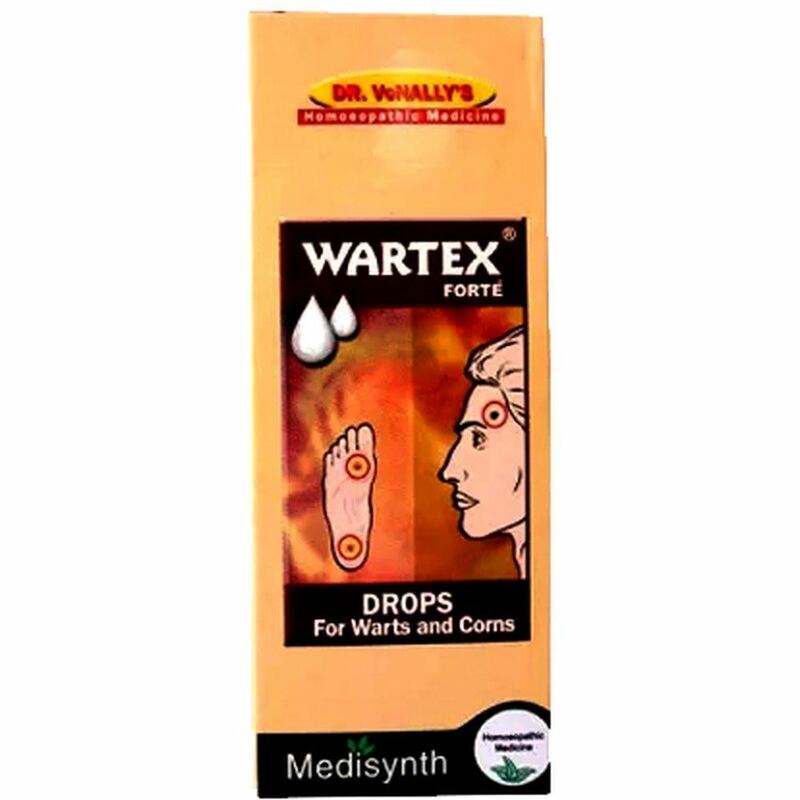 Properties FormSyrup Ideal For Weight20 (gms) Dimensions1.5 (cm) x 1.5 (cm) x 8.6 (cm) SBL THUJA ROLL-ON DROPS Warts are raised bumps on your skin caused by the human papillomavirus (HPV). They usually grow on your fingers and toes, but can appear elsewhere. They have a rough, grainy appearance and a rounded top. They can appear anywhere on your body. Properties FormOintment Weight32 (gms) Dimensions12.9 (cm) x 2.5 (cm) x 3.1 (cm) About Wartex Cream Wartex is a Safe, Effective and Painless treatment for warts and corns. It is easy co administer and Most Importantly, it does not leave any Marks or Scars (particularly on the face) as an after-effect. While various other measures such as electrodessication etc. are possible, the chances of recurrence are common and exceedingly high. 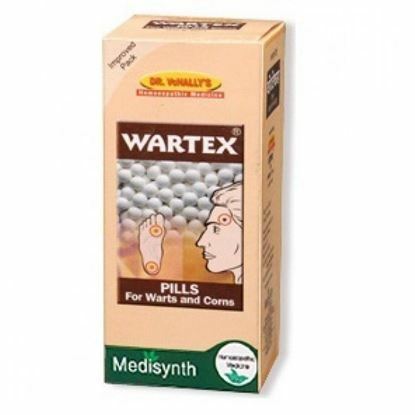 Properties FormTablet Weight44 (gms) Dimensions3.8 (cm) x 3.8 (cm) x 9.4 (cm) About Wartex Pills Wartex is a Safe, Effective and Painless treatment for warts and corns. It is easy co administer and Most Importantly, it does not leave any Marks or Scars (particularly on the face) as an after-effect. While various other measures such as electrodessication etc. are possible, the chances of recurrence are common and exceedingly high.